There is another 1985, somewhere in the could-have-been, where the Crimean war still rages, dodos are regenerated in home-cloning kits and everyone is deeply disappointed by the ending of 'Jane Eyre'. In this world there are no jet-liners or computers, but there are policeman who can travel across time, a Welsh republic, a great interest in all things literary - and a woman called Thursday Next. 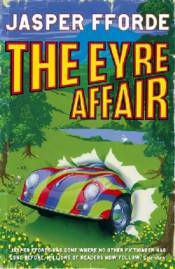 In this utterly original and wonderfully funny first novel, Fforde has created a fiesty, loveable heroine and a plot of such richness and ingenuity that it will take your breath away.